Learn how to manually or automatically schedule lessons to trainees. There are two ways to schedule users to lessons in Velpic; manually, or via automatic rules. Go to the Manage tab on the header navigation. Select the Lesson to schedule by clicking the name of the lesson. Click the Users Scheduled tab. If there are already users scheduled to this lesson they will appear as a list on this screen. 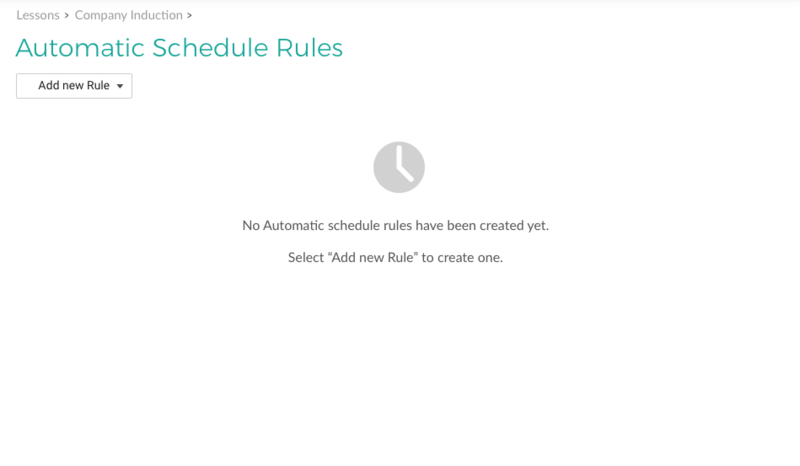 To add new user schedules, select Schedule a User, a pop-up will appear. Click on users to add as required. If an incorrect selection has been made, click a user again to deselect. Users who already have a schedule set-up for the selected lesson will not display in the user selection pop-up. 2. Click the ‘Add New Rule’ button, a menu dropdown will appear with the following rules. 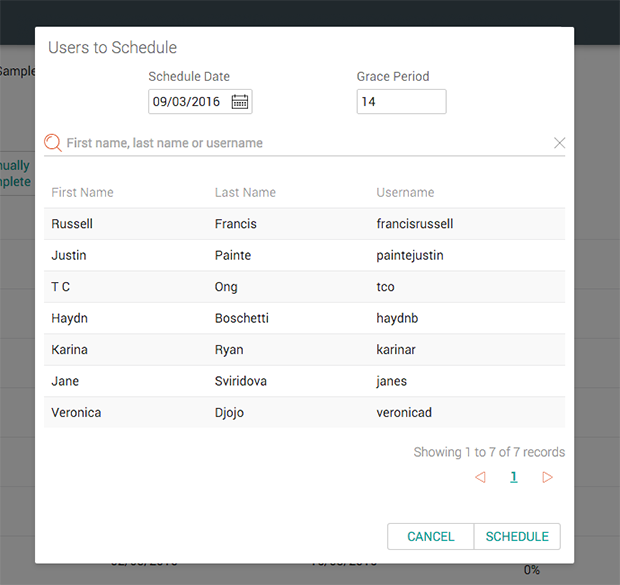 New User Rule - when users are added to Velpic, immediately schedule them with the grace period specified. Recurring Rule - Repeat any existing schedule at the specified interval, i.e every 3 months, with the grace period specified. Group Rule - Assign all users in the selected group(s) to a lesson schedule, with the specified grace period. When a new group member is added, a lesson schedule will also be applied from the date they are added. Lesson Completion Rule - Require prerequisite lessons to be completed by a user before the next lesson is scheduled. 3. On selection, the new rule will appear on the page with fields for customising the rule.